Researchers from Queen’s School of Natural and Built Environment have discovered that the first people to inhabit Malta arrived 700 years earlier than history books indicate. Through analysis of ancient soils, the researchers have found that the first inhabitants arrived about 5900BC. Ground-breaking DNA analysis revealed they came from different parts of the Mediterranean and Europe, including Africa. The researchers also found that a second colonisation arrived in 3850BC from Sicily and lasted an extraordinary 1,500 years in Malta without a break. Professor Caroline Malone from the School of Natural and Built Environment at Queen’s has been working at one burial site in Malta since 1987 and her teams have excavated 220,000 bones, representing between 500 and 800 people dating from 3600-2350BC. 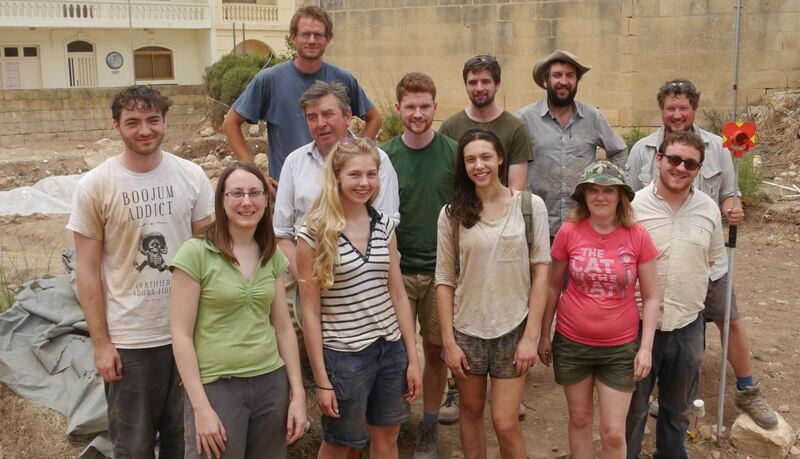 Over the last five years, with funding from the European Research Council, an international group of archaeological experts have been analysing the ancient bones and examining the wider landscapes, building a detailed picture of life in prehistoric Malta. The data, which is being presented in Malta this week, has revealed that the first inhabitants were robust and healthy, with some of the best teeth that archaeologists have ever analysed. One skull showed that sophisticated dental work had been carried out as early as 2500BC – an abscess had been lanced from the root of a tooth. The inhabitants cared for their sick, injured and elderly and were hardy and determined, continuing with their daily tasks, despite being in chronic pain from advanced bone degradation. They survived on meat, cereals and pulses but as time went on they ate less meat and almost no fish. Professor Malone explained: “We have made some fascinating discoveries on Malta at Queen’s, most recently through this international project. I have been working on the Prehistory of Malta for over 30 years and the amount of detail we have extracted from these ancient skeletons is remarkable. They change the entire understanding of the first Maltese people. “Through radiocarbon dating we have now been able to pinpoint that the first inhabitants arrived 700 years earlier than was previous thought, and we have also identified several episodes of separate colonisation. Given the restricted land space of Malta, it is remarkable that the second colonisation survived for 1,500 years. The researchers also made important discoveries on climate change and the methods of farming that were used by analysing soil cored from deep valleys, which contained ancient pollen and animal evidence from past environments. She added: “While the first inhabitants were able to survive for a long period of time, they ultimately had to downscale radically when the conditions became too difficult. Their destructive farming methods had a catastrophic impact on the soil, and combined with drought, meant that eventually it all came crashing down as the islands became much too dry to sustain dense agricultural practices. The group of experts included researchers from Queen’s, University of Cambridge, Liverpool John Moores University, University of Malta, University of Plymouth, the Superintendence of Cultural Heritage Malta and Heritage Malta. Five PhD students took part in the programme, which has helped to train up the next generation of experts in this area.